Welcome to Expath! Here's a bit about us! 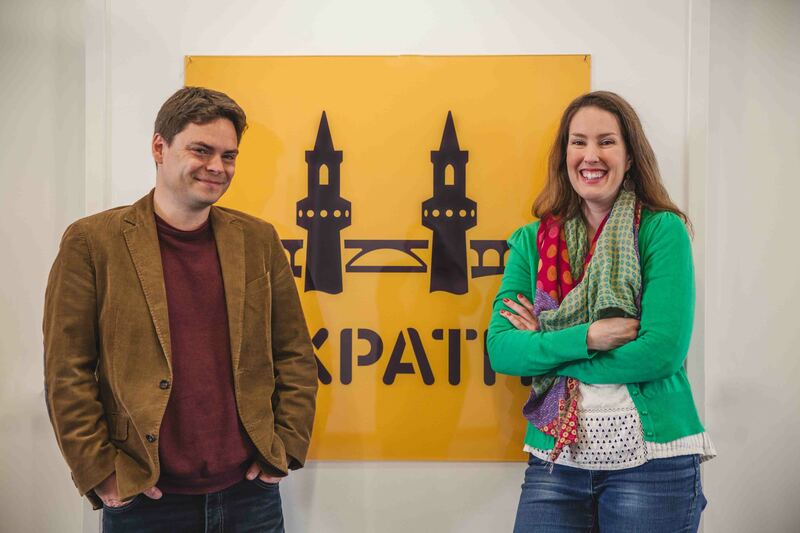 Stephan Brenner and Tia Robinson founded Expath in 2012 to help "new Berliners" with German bureaucracy and provide exceptional German language lessons. Our goal? To give people the tools, skills, and information necessary to live in Germany successfully. We know those issues because we've made the move ourselves (Tia is German-American by choice, Stephan is German-American by birth). As language teachers, managers and recruiters at big business language schools, we have encountered first-hand the issues new expats face. The resources available from official German sources are often confusing, and advice in internet forums is contradictory, discouraging or simply outdated. Our goal is to provide the best possible information at the lowest possible price. 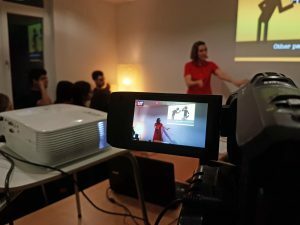 Over the years we have helped thousands of new Berliners learn German, get a visa, get a work permit, register their address, get health insurance, find a job, find a flat, deal with taxes and much more. We provide these services at very affordable rates and truly feel that we make a difference in our community. We also provide onboarding services for companies and organizations – from small startups to big, internationally known companies - based in Berlin. 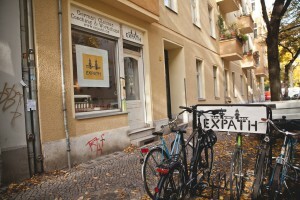 We help their new international employees move to Germany and acquire language skills quickly. 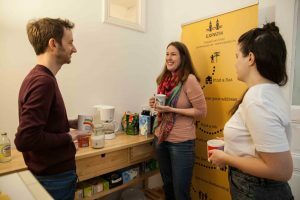 We’ve been called a “Powerhouse of a Startup” by Venturevillage and are featured in their article “7 Cool New Ways to Learn German“. 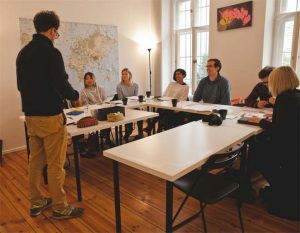 We’ve been named überlin’s “Favorite Berlin Language School“, and one of My Destination Berlin’s “Top 10 Language Schools in Berlin“, just to name a few. Our facebook and Google (here and here) reviews speak volumes about how well we carry out our mission. 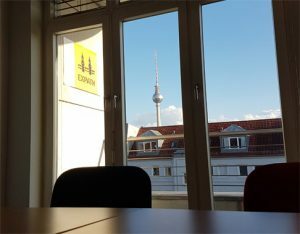 In May 2017 we expanded to our second center - in addition to our center in Neukölln, we are now also located right on Rosenthaler Platz in Mitte - and officially became incorporated as the "Expath Training & Consulting GmbH". 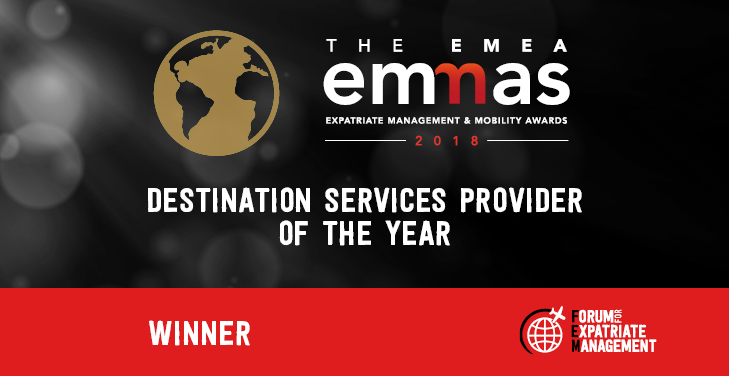 In 2018 we won the Expatriate Management and Mobility Award (EMMA) for Destination Service Provider of the Year, and we became official members of The European Relocation Association (EURA). Thank you to the thousands of students and coaching clients who have made our vision a huge success over the years - and for many to come! We're excited to get to know you in a coaching or German course soon!